It is to recognize that the energies of failed lesson create material - tangible material - that then resides within the body. If the lesson is associated with a particular part, area of the body, the energies settle here; the organs are most usually impacted last, for it is this that can interfere with the ability of the body to continue to function while the lessons are being learned. The body is indeed impacted by the energies that are created by failed lesson – whether the physical, mental or emotional is the source body, so to say. It is important for each to understand that when a lesson is failed and the self chooses not to resolve the lesson, that the self is choosing to damage one of the bodies, for the energies will indeed be stored within that body until the lesson has been learned. I, as the Teacher, then draw forth these energies en masse – the cumulative energies. What does this mean? I activate these energies, giving them life, providing them with sensation that is then interpreted by the mind; this is to garner the attention of the self, so that the self realizes, “there is something that I must pay heed to …I must focus upon this sensation, for it is so unfavorable that it impacts my ability to continue forth as I did prior to its presence.” These energies oftentimes are present upon the surface for days, weeks, potentially months before the self recognizes the energy, for many other reasons are provided by the mind to the self for these feelings. The more intense the energies become, the more lesson is drawn forth by myself; many others are called to the self, bringing the message of the lesson that need be learned prior to the release of these energies. Each failure of the self to recognize the lesson, to begin to examine the self’s behavior and to determine the change or the thought-filled determination that the self prefers the response of the self, understanding its ramifications – only then shall the sensation be deactivated or released. It is important to understand that it is choice that the Teacher is presenting; the Teacher does not demand change – the Teacher demands choice. To eliminate all animal by-products from your diet, for it is time for you to begin to clear the body of these energies that prohibit the self from forward movement. This denseness becomes a part of the self – it is not merely a matter of ingestion and elimination my brother Loereve; they substantially alter the DNA of the self. This is my suggestion for you; it is of course your choice to determine the path that you feel is most appropriate for the self. All here have been requested to make choices in order to further the self’s ability to achieve success. The lesson plan requires awareness. Ingestion of dense energies deadens the self’s ability to be focused, to be aware of that which is happening around the self, as well as that which is happening inside of the self. A lifetime of ingestion of dense energies causes the self to become completely unaware of that which is happening inside the self - feeling is lost, mental processes ignored. It is important for the choice to be made by the self willingly, without bitterness, resentment – to understand why the request is made and to understand why the self would choose to embrace that which has been requested. It is to be conscious of all products used on the body or ingested. When first beginning to purify the body, some things are of minor importance. Your cleansing has begun sometime previous with the diet imposed. It is to recognize that the bodies have grown dependent upon many substances strictly due to their usage; discontinuance of lotion upon the skin is difficult for most to embrace, for it is believed that the skin requires this assistance. This is untrue for one who is capable of reviving all available energies; for one who is challenged, for one who is unable to enliven those energies needed by the body, external assistance is often sought. It of course is also dependent upon the belief system, for if the self believes that the self needs something, then indeed the self does. The experience of negative emotion – humiliation, embarrassment, anger, depression – indicates that the self, the unhealed self, has yet to truly understand that which has been presented to the self, for all of these responses are those belonging to the ego. It is the ego that protects; it is the ego that defends. The ego merely consists of negative energies that are a part of each body belonging to the human; it represents those unhealed portions of each body – each body will continue to cry out in a negative fashion until the lesson has been learned, for each body is programmed to respond in a particular fashion until awareness has been awakened for the self, until response favorable – that which could be regarded as positive or that belonging to the light – is made by the self automatically. It is important for all gathered to understand that the pursuit of knowing and healing the self is one that is fraught with peril for one who fails to recognize the presence of the ego; the ego, energies created by the self when failure was experienced – negative response, negativity that now resides within the body and for most upon the planet, embedded deeply within all bodies. As these energies are drawn forth and many released, the self is in awe of the quantity, finding it difficult to embrace that the self could have so much negativity within the self. The goal of the lifetime is to eliminate negativity, to draw forth the inner Teacher, so that lessons may be presented to the self, utilizing all time available to the self to learn. As long as the ego maintains its stature of dominance, the inner Teacher is forced to utilize others to teach the self; oftentimes, forced to accept that the self has mis-taken the lesson once again and rather than releasing negativity, increasing negativity. When observing the life experiences of the self - day by day, week by week, month by month – the self tends to focus on that which is most uncomfortable – those days when the self struggles, those days when tears flow readily and frequently; the self has forgotten those days of ease and grace – recognition of beauty, recognition of joy that burbles up from deep inside unimpeded, oftentimes unnoticed, for it is a way of being that is desired, yet rarely honored when experienced. It is to look to the life experience day by day to determine, “How am I doing with my lessons? Do I feel imbalanced more than I feel balanced?” I do not mean to insinuate that the student is ‘balanced’ at any time when in the unhealed position; however, the self is able to experience joy, excitement, enthusiasm, beauty - it is to this state of being that I refer to as balanced versus the state of being that is imbalanced and readily recognized as such, due to the presence of emotion that is not manageable, not controlled by the self, for its origins are unknown and misunderstood. It is often that the body begins to release massive quantities of emotion by ‘leaking’ slowly that which is within; when possible a torrent of emotion is brought forth if it is believed that the student can manage the emotion – if it is believed that it will not interfere too dramatically with the life experience, then the Teacher will draw great quantities of emotion – that which has been tamped down inside the bodies, causing illness, causing at the very least discomfort – chronic illness, arthritis, fatigue…maladies of this sort. Once this emotion has been released the next layer is then addressed by the Teacher and it is layer by layer by layer by layer that the emotion is released; the student believes that there could be no more, yet more indeed remains beneath the surface. The student need be assured that the Teacher will not draw forth more than it is believed that the student can manage; if the student believes that the self cannot manage, it is to inform the Teacher and the Teacher will inform the self of that which is needed to aid the student through the experience. It is important for each student to understand that the Teacher will never provide more than it is believed that the student can bear; it is for the student to recognize that it is ego that attempts to convince the self that this is too much to bear – indeed, the self cannot bear a moment more. The purpose of emotion is to feel. To understand how to feel is to recognize that the mind often tells the self how to feel: “I should feel happy…I have everything that a human being could ask for - this must be happiness that I feel.” “I should be unhappy. I have just lost something that should be very important to me; this is how I must feel. I do not truly feel happy nor do I feel unhappy.” This is not recognized, for the mind must qualify that which the self is experiencing. It is the mind that informs the self with its translation of that which the self is feeling; the mind can not grasp feeling deep within all tissues throughout the body, for the body is well equipped to feel emotion, to store and to harness the energies of emotion - positive as well as negative emotion. Those individuals that present the self to the Teacher often are filled with negativity; it is negative emotion that is drawn forth - that which has been leaking for many, many years through emotion for the self who is unable to control the self’s mouth or the self’s emotions, meaning the self cries frequently without understanding. It is the duty of the Teacher that has accepted the student to release the energies as quickly as possible, to the level where the student can begin to control the self, for it is not possible for the student to change as long as negative emotion overfills the bodies unless extraordinary effort is placed towards doing so. It is rare - the student that is capable of drawing forth extraordinary effort when they first begin to walk the path to healing. Understanding the self’s journey is important. The student believes it to be critical. It is not, of course, for understanding comes much later to the student. The Teacher is unable to provide understanding, for oftentimes many, many, many lessons must be brought forth; great pain - known as suffering – endured, prior to explaining the lesson that the Teacher has presented to the student. To trust the Teacher is the choice of the student - to state, unequivocally, “I trust the Teacher. I shall do whatever the Teacher presents to me. I surrender all concern to my Teacher, knowing that all that which must be brought forth to me shall be, recognizing that all suffering endured is necessary. The Teacher seeks to provide only that which is needed by the student and is always ready to provide that which is positive, in order to encourage the student to renew the self’s efforts, so that progress can once again be achieved. I ask each of you to focus upon the body, to understand that release of these energies is a cause for celebration, for the self has indeed succeeded in identifying, recognizing and choosing to change the behavior of the self. It is to encourage the body to provide you with signal of that which is needed; the body may require food and liquid in order to attach these energies for removal. The mind will tell you, “Do not provide this, for it will cause further discomfort.” Unfortunately, discomfort is a part of the removal of these energies. It is to ask the body, “How may I assist you?” If the thought of a food is provided, it is to ingest this in a small quantity; it is to provide the body at minimum with water, for dehydration is not desirable and could be the result of this type of release. It is to take the mind off of the body, to allow the body to do the work that is necessary; to keep the self busy or to try to rest is appropriate – whatever is believed to be most appropriate for the self is encouraged. Laughter is also an appropriate way to release energies from within and is encouraged as, when it is genuine, heartfelt, it expels negativity that is upon the surface. It is to recognize that failed lesson creates negative energy that is embedded within the body. The accumulation of failure, without desire to correct the actions of the self to those that would better endorse the physical body, results in illness. The typical student has been storing negative energies within the bodies for decades prior to awakening. The body begins to rebel at this storage; when the quantities have achieved certain levels, disease becomes more likely. It is as the adjustments were made for yourself and Te' Auna – dense energies were released from areas where they had been stored for decades – pain…the emotion of pain, released, freeing the body to adjust itself back to its natural state. Emotion is stored within the body when it is not understood; emotion that is understood is released. It is important for each student to recognize that failed lesson is reflected throughout the body, that the inner Teacher has done its best to store these energies in areas that would provide clue to the self of the lessons that are being failed. Often, other areas need be utilized to prohibit debilitating disease. It is for the student to ask in the meditative state –“What is this pain? What does it represent? How may I understand the lesson at hand? Please present another and another and another, until I see that which you are trying to illustrate for me. Unfortunately, the typical student becomes upset, focused upon the physical malady, determined to eliminate the malady versus understanding the reason for its presence. It is important for each student to ask the inner Teacher if there is anything that can be done by the self to aid the physical body and to then turn the attention to providing just that, so that the physical body can support the goals of the consciousness. It is partnership that is needed between the self and the physical body, for if the physical body has been informed that the self is indeed desirous of learning the lessons, disease can be held at bay, awaiting the time that the self has determined that the life experience is acceptable to the self as it stands and that change is no longer desirable. The goal of the lifetime is to learn – the body is programmed to teach. As the self determines that the self is willing to embrace the lessons for the self, is indeed desirous of changed behaviors, energies that hold the potential for damage to the bodies can then be released. It is important for each present to understand that the self still responds automatically to many things. All of these automatic responses have been programmed and belong to either the physical, the mental, or the emotional body consciousnesses; each body performs to perfection, never failing to provide that which is demanded by the lesson plan. The self alone, by becoming aware, by choosing to abort the automatic response, can change this. It is to understand the self’s pattern; for the individual that does not have access to the self’s pattern, it is to recognize the feeling - the feelings of irritation, frustration, anger or sorrow, for as soon as these impressions arrive the lesson plan is engaging. It is for the self to recognize, “I do not like this, what is it that’s disturbing me? I am angry. I have been offended.” It is to deconstruct the story that is put forth by the ego that states protection or defense is necessary for the self is about to be damaged. It is to recognize that negativity is encouraged by the ego for this further strengthens its position. It is energy my brother, negative energy, desirous of growth. It is that simple. To understand when the self has become engaged is to feel the body when it is at rest, when it is nurtured, when it is happy. It is to know this feeling throughout the body. It is to then be alert to any change to this feeling. It could start with a flush - energies about the arms, energies about the legs. It is important for the self to recognize the arrival of negativity for it is during this time period that the self can easily abort the automatic selection of negative response as provided by the lesson plan. Once the negative response has been provided it is far more difficult for the student to abort; oftentimes the student feels that the situation is surreal, that self is being watched by the self, yet the self can not stop. The energies of the lesson plan are in control and the self must be extremely desirous of aborting that which has unfolded in order to do so, stating “I just don’t care anymore,” informing the ego that the self will embarrass, will humiliate the self, in order to stop the antics sends message that the self is indeed desirous of knowing and of healing the self. It is karma in each lifetime that causes the student to depart from the spiritual path, for the self believes that all shifted, all became worse when the self stepped upon the path, when the self committed the self to being different. It is true of course that all does become much, much worse, for the Teacher has been granted permission – the student has stated, “I am prepared to step forth upon the path once again my Teacher. I ask that you take my hand and not release it until I beg you to do so.” It is only then that the Teacher will take a step back and allow the student to depart the path once again. The student is fully cognizant of the peril that has been invited for the self to experience, for karma has been called forth and cannot be put away until it has been experienced. When the student first steps forth upon the spiritual path the Teacher and the student plan that which is to be learned – all those things that were planned to be addressed must be addressed. The Teacher has no choice for these energies have been drawn forth from the astral body and placed into the physical body so that the student becomes more aware of the deep, underlying issues – those things that have yet to be recognized by the self, those things that have certainly not been understood. Once the energies have been placed in the physical body it is impossible to return them to the astral until death occurs, death of the physical body. It is important that all students present understand that the self has granted permission to myself to draw forth energies of a karmic nature; these energies are detrimental to the physical body. It is important that the student dedicate the self to learn so that these energies may be removed before they cause damage once again. All energies that have been drawn forth from the astral body have resulted in the consciousness’ physical death in previous lifetimes. It is this that instills the sense of urgency, that tells the self, “I must focus my attention upon these energies. I must focus my attention upon the Teacher. I must utilize every spare moment to learn, to understand, so that these energies for which I have granted permission to draw forth and to place into my physical body can be removed before extensive damage has been done.” It is for all to look to Te'Auna to understand this, for she provided me with this permission more than 6 years prior. We have worked diligently together to eliminate the energies that resulted in cancer; this cancer had begun to grow some years previous – approximately 3 and one half years previous. It is not that Te'Auna was not committed and dedicated, that she was not diligent for she was; she simply was unable to learn the lesson. It was agreed in this lifetime that she would receive minimal support; for the teacher must experience minimal support so that it is never forgotten that no student should ever be left wanting. The inner Teacher, the teacher within, will always provide the energies needed for the next and the next and the next student. It is the teacher that need be committed to every student, to place the student first as long as there is need. Sol: My question has to do with: how can we best prepare ourselves for, or to ease the releasing of the karmic energies into the physical body and eliminate the possible fatal or deleterious effects that they can have? Dedicating the self to the lesson at hand is necessary my brother, making certain that the lesson has been fully integrated. You are thinking, “How does one do that?” It is by employing the physical teacher, for the physical teacher has access to myself. While the physical teacher may not understand all lessons that are being presented to the student at this time, the Teacher will make certain that the physical teacher guides the student appropriately. The lesson for the student is to share deeply of the self, honestly, completely, seeking assistance; for without this foundation underlayment - the relationship between the student and the teacher - the student is doomed to failure. The physical teacher is unable to aid the self unless the self is willing to seek assistance, unless the self is willing to provide all detail, unless the self is willing to open the self completely to another. Loereve: Are the astral energies that are brought into the physical (body), are they always potentially deadly to the body for the student as they learn? It is to recognize my brother that the environment within this particular physical body is somewhat different from the environment of the preceding physical shell. Those energies that are brought forth from the astral body may or may not do damage to the current physical body because the student has learned the lesson. It is testing that is then provided by the Teacher – many, many, many, many tests are provided to make certain that the student has indeed learned the lesson. These energies are then released. The energies that remain within the physical body year after year after year are those that are far more likely to cause damage. It is the thinking that causes the most damage for the student; self-hatred, self-distrust, self-doubt - these are the most destructive. These thoughts are running in the background, prohibiting the student from changing behaviors that have guaranteed failure in the past - in the past for this lifetime, as well as in past lifetimes. To eliminate these energies the student must learn the lesson. It is rare that the student learns the lesson in a single lifetime – even two, three, five, ten lifetimes. The energies grow all the more powerful as do the behaviors. The structure of the groove in which the student moves is immobile, rigid; the student can rarely see over the sides of this structure, for the behavior has become so ingrained that the self believes that the self is doing that which is most appropriate. A fine example of this is one who is focused outwardly, upon others, to the detriment of the self. It is the self’s desire to be selfless, to eliminate selfishness, to serve others. It is important to note that the student need never be concerned as long as the self trusts the Teacher – the physical teacher as well as the inner Teacher. For all is as it should be, all is necessary. Each lifetime is a building block utilized to access the next and the next and the next lifetime. I am Osiris. I am love. I am here to aid each of you as you dedicate yourself in this new year to knowing, to understanding, and to healing of the self. To focus every moment of your time in so doing, for time is indeed of the essence – it is time for each to step forth to heal the self so that service may be provided to others. Am I understood? It is important for all present to recognize that past life karma is something that is not truly understood by the bulk of humanity, for karma is earned by the self as the self is learning. The human that views karma from the unhealed state is incapable of understanding that the self had no choice but to experience that which has been experienced; it is now the self’s turn to experience that which has been provided to another in service. All things must be experienced – not only those things favorable but all things unfavorable, for it is this that informs the self, that informs the body, of the nature of all things. The human being craves the positive and abhors the negative, feeling that the self is entitled only to feelings of pleasure; the self would never seek feelings of humiliation, embarrassment, discomfort – nor any negative emotion that I could possibly name. Rather, the self is desirous of pleasure alone and is constantly seeking for the next and the next and the next pleasurable experience. No sooner than pleasure has been experienced and the self sets out for the next and the next and the next experience, for the human is never filled. Within each is a deep yearning to experience all things – some have a greater sense of urgency than others but all humans desire to experience. Until the consciousness steps forth upon the path to healing, pleasure is all that is sought – all else, as quickly and easily as possible, discarded, forgotten. The feeling of the self is to eliminate all that is negative from the life experience; if this means cutting individuals out of the self’s life or particular experiences, it matters not, for the consciousness, the self, the unhealed self, will do so. The lesson plan demands negative experience, for the consciousness need be tested to determine not only, “Have all things been experienced,” but “Have all things been understood?” The experience of negative emotion – humiliation, embarrassment, anger, depression – indicates that the self, the unhealed self, has yet to truly understand that which has been presented to the self, for all of these responses are those belonging to the ego. It is the ego that protects; it is the ego that defends. The ego merely consists of negative energies that are a part of each body belonging to the human; it represents those unhealed portions of each body – each body will continue to cry out in a negative fashion until the lesson has been learned, for each body is programmed to respond in a particular fashion until awareness has been awakened for the self, until response favorable – that which could be regarded as positive or that belonging to the light – is made by the self automatically. Until this time has been experienced, the lesson has yet to be integrated. The final teaching this day shall address the student’s ability to see the self. Suffice it to say that the majority of students are unable to do so without the direct assistance of one who is pursuing the path that will return the self to its original state of divinity. It is important to understand that the majority of humanity is upon this path; the majority of humanity believes the self to be good, to be upon a worthy path – one that is more love than darkness. However, it is indeed the majority of humanity that seeks outward for answer whenever lesson is experienced; this seeking is typically performed from a negative stance. The experience provided to another is typically jaded, skewed, presenting a picture that informs the other that the self has been damaged, that the self was unworthy of such treatment, that the self is indeed victim. This is then endorsed by the other, for it is believed that to be in close relationship with another, that the other is always endorsed, the other’s side always taken, the other’s way of being always defended. This is the view of the ego, “If you love me you are with me. If you love me, you support me. If you love me, you agree with me on all things. To tell me that I was wrong is unwelcome” - and, with some lesson plans, cause for the irreparable damage done to the relationship; for most selves, most individuals, are not interested in truth – they are interested in winning, they are interested in competition, they are interested in being proven as better than. How is the self that is damaged by another better than the other, you say? . How is the self that is damaged by another better than the other, you say? Well, of course, the answer is that the self would never treat another the way that the self has been treated. The self has determined that the self is better than others. When the self is informing another of another’s behavior, the self restates the behavior of the other, so that the self appears to be more damaged, so that the self appears to be the victim, so that the self’s culpability appears to be nominal or non-existent. This is all so that the self can appear to be better than the other. The self appears to be better than the other because the self would proclaim loudly to all that will listen that the self would never behave in such a way. It is important for all students to recognize that to diminish another by speaking of them incorrectly, dishonestly, brings karma to the self in future – that the self will be falsely accused, that the self will be negatively spoken of, unjustly, due to the actions of the self. It is competition that drives the self to diminish another, particularly one who has threatened the self, whose halo shines more brightly than that belonging to the self. It is to speak honestly of the self. It is to speak honestly of another. It is to convey that which has been experienced honestly and if the self is unable to do so, to not speak of it at all. The garnering of karma is mandatory in these situations, for the image of another has been damaged, due to the self’s activities. To understand karma is to understand the self – the mind, the emotions, the physical bodies are all in need of lesson; all are programmed to draw forth that which is needed to teach the consciousness…indeed, the consciousnesses, housed within. It is important to remember that there are no mistakes, that that which is experienced by the self, that that which is experienced by another was indeed planned, was indeed necessary, was indeed scheduled - if not today, next week, next month, next year, next lifetime. Those who question the experiences of the self by bemoaning the experience, by wailing, gnashing of the teeth, causing great distress for the self as well as those around the self, are those who do not understand karma, are those who do not understand their purpose for being in this dimension, are those that will fail again and again and again. It is pain that need be understood. Is there a malady, as with the skeletal system - a maladjustment that need be rectified to aid the physical body, for the physical body can become damaged? The inner Teacher is unable to repair this damage until the lesson has been learned; there are humans placed upon this planet that can ease the pain - that can aid the self by remedying the maladjustment, by remedying disease - providing the self with additional opportunity to learn in future. Ignoring the problems of the body is not suggested, for this often results in early death of the housing. It is to recognize that failed lesson creates negative energy that is embedded within the body. The accumulation of failure, without desire to correct the actions of the self to those that would better endorse the physical body, results in illness. The typical student has been storing negative energies within the bodies for decades prior to awakening. The body begins to rebel at this storage; when the quantities have achieved certain levels, disease becomes more likely. The emotional body – this influence upon communication is oftentimes extraordinary, for it delivers to another extraordinary need. It is the emotional body that creates the likelihood of faulty thinking, for all thinking is based in emotion, whether the self likes or dislikes that which is being addressed in the moment. The emotional attachment to any thing, person, results in belief that, of course, is found to be faulty when examined closely, for the belief was founded upon emotion – that which can never see clearly; rather, the issue at hand is seen through the rose-colored glasses. The self’s attachment to a person, place or thing creates the likelihood that the belief will be unsound. Emotion is present within communication, informing the other of the self’s desire to be left alone or the self’s deep need to be loved. It is the emotional body that creates the wall - that which may be identified as a wall of defense and protection, to prohibit others from damaging the self. Communication is impeded, interfered with by emotion - fear that the self will be damaged if the self shares too deeply, if the self provides information that is regarded as detrimental - that may pose jeopardy to the self by drawing forth judgment of another. It is to recognize that confusion is the goal of the emotional body; confused thinking results in the self’s inability to convey the thoughts so that the self may be understood. It is important for the individual that maintains an emotional communication style to pause, to make connection with the heart and the mind prior to speaking and to ask the other if the self has been understood and, indeed if the self has understood the other. It is the influence of the emotional body that seeks immediate response that provides the same reply again and again and again. The self that becomes cognizant of this influence will listen and will ask, “Do I understand what you have just shared with me? This is what I understand.” Hesitation is critical to the individual whose communication is influenced by the emotional body. Am I understood? I shall now focus upon the communication style that is influenced by the mental body. This individual is capable of conveying information to another in a fashion that is ensured to provide that which is needed so that each may understand each. The desire of the individual to be understood becomes far more important later in the life, for the self determines that often the penalty is too great when the self shares too openly with another; rather, the mind is being utilized to observe the other to gain the upper hand, to understand the weakness as well as the strength in the other, which is often regarded as the opponent. The individual with the mental communication style often seeks to be recognized as better than, as more intelligent, as preferred above the rest…all others. The mental body fails to recognize the existence of the physical and the emotional bodies - it fails to make connection with the other in a way other than to size up the opposition, to recognize whether the other need be befriended, for their strength has been noted as equal to the self’s, or discarded, for their weakness renders them of little value to the self. It is to draw forth the physical and the emotional that is needed for the mental communicator, to purposefully make connection with the other, counseling the self that all others are not the opponent; rather, they are that which is needed by the self, so that the self can learn to communicate genuinely, utilizing the physical and the emotional bodies. The student assigned the lesson plan of Shame need be cognizant of the damage, the potential damage, incurred upon the physical bodies, the mental and the emotional bodies, through the cultivation of bitterness. To recognize the presence of this most caustic of energies is to draw forth experience, to focus upon the mouth – the taste in the mouth, whenever the thought is brought forth to observe the self closely – the way the mouth is held, the pursing of the lips, the squinting of the eyes, the response of the self that is physical in nature - to feel the need to expel the energies from the person, for as long as they remain inside damage is experienced by the self. Bitterness – the root cause of dental problems, dislocation of the jaw, problems within the throat, difficulty in speaking, a heart that fails to open to another; for the self is ever-protective of the self, viewing that another will drain the self through their need, for the self has mirrored, projected onto another that which has been exhibited by the self. Bitterness - caustic energies, that when expelled upon another, damages the other emotionally; that when sent forth to another, damages the other physically. It is important for the individual assigned any of the lesson plans associated with Shame to be ever-vigilant, for Shame is the lesson plan wherein karmic callings are garnered when the lesson plan is allowed to rule. Bitterness – when one fails to expel these energies physical malady, disease, shall always be experienced, depending upon the method employed by the self to expel or to retain the energies. Expulsion results in mouth and throat problems for the self; retention results in stomach and bowel difficulties. Appropriate expulsion of these energies is in sharing - to draw forth the energies, to speak of what the self feels, acknowledging all that the self feels - allowing another to aid the self in recognizing that which has eluded the self – the lesson that lies beneath the creation of these energies. It is important to recognize the lesson plan, my brother (Sol) - self-pity, feeling lack, feeling that another has what the self was entitled to; protecting the façade - the self, refusing to allow another to aid you in recognition of why the self did not accomplish, and then resigning the self to the failure, fueling the creation of bitterness. It is important to recognize the presence of bitterness, resentment, hatred, for these energies cause damage to all bodies. Student: Teacher, I have never before heard the concept of kingdom. Could you elaborate for me so I can understand a little better, please? Kingdom - it is a creation, a construct that has particular purpose; here within this third and fourth kingdom, the purpose is knowledge of the emotional body and how it is integrated with the physical body. All other lessons/experiences within this kingdom are provided to enhance the human experience - to provide lesson for the human. Kingdom is topical; it states that all within this particular existence are here for particular purpose. While this purpose may be multifaceted, it is truly directed focus that is only known after all things have been experienced. Do you understand? Student: I do. Thank you! There are many kingdoms Teacher, for different purposes? Student: Have we been in them? It is to be focused upon the current experience my sister. Curiosity, "the Student", the mind - the pursuit for knowledge that will not aid you is not suggested. Student: I understand. Thank you. Recognition of the self’s lesson plan is thwarted by the mind that is programmed to prohibit focus, that is programmed to provide distraction, that is programmed to believe that solution has been found well before bedrock has been struck. The student that is diligent, committed, and willing to suffer believes that the self is doing all possible to pursue the self’s healing; the majority of the self’s time is given over to studies, to focus upon the self, and the Teacher begins to draw forth darkness from within – those experiences that have resulted in failure due to the self’s inability to understand that which has been brought forth. The mind loves data, loves knowledge, and the lesson plan is further fodder – that which can be studied, cemented, so that the self is capable of regurgitating all that which is a component of the self’s lesson plan. The mind keeps all data, all knowledge at the level of the mind. The emotional body struggles to draw forth emotion; oftentimes, uncontrollably so, resulting in damage to the self and the self’s ability to learn from that which has been revealed. It is the mental body - the mind - that amplifies the emotion by convincing the self that the self has indeed suffered greatly, that the self has indeed been damaged, that the self has been treated unjustly, that justice will never be available to the self - that the self cannot accomplish or that the self will most assuredly accomplish. The mind has many tricks and all are employed by the Teacher in order to teach the student to begin to recognize the machinations of the bodies – the mental at the top of the tier, [followed by] the emotional and the physical; the mental is at the top of the tier due to its ability to amplify the response of the emotional and the physical bodies to testing – amplifying pain, amplifying emotion, amplifying need, want or desire. The self that fails to recognize that the mind is by far the most powerful of all bodies is the self that will fall victim to this most capable body - one that convinces the self that the self is incapable or the one that convinces the self that the self is the most capable; as each are aware, it is the middle ground in between that will be proven to be legitimate. Do you understand…that it is the mind that weighs all things and arrives at conclusion? Do you understand…that it is the emotional body that feels what is most appropriate for the self? It is for all to recognize that the lesson plan is controlled through the mental body – the mind has been programmed to ensure that all experiences needed shall indeed be experienced, shall indeed be garnered, whether in reality or through illusion. It should not be difficult for anyone present to understand that much of what is experienced by the self is illusory. If the self has ever been falsely accused of the self’s desire, of the self’s aim by another, the self can readily see how another can mistake the actions of the self. Although most are capable of this recognition, most fail to see that the self has quite likely mistaken the actions of others and qualified them as damaging to the self – purposefully; this is not a mistake, for the mental body has ensured that that which was needed has now been experienced. Drawing forth this recognition should ease the difficulty with which the self reviews the self’s past and those players who have seemingly damaged the self, for much of what has been experienced by the bulk of humanity has merely been a trick of the mind. Do all understand my words? It is to recognize that the self believes “It’s about me.” It is this that the mind uses to convince the self that it is indeed about the self. It is to understand that the connection of the heart is merely the thought of love – to be love, to be different. For the human, the heart represents emotion, it represents love; it is the very symbol that comes to mind for the majority when the word love is spoken – the picture of the heart. It is to recognize that it is the mind that chooses, it is the mind that has been programmed, it is the mind that need be reprogrammed, informed by the self of the behavior that is most desired by the self whenever opportunity presents in future. Recognition that emotion often clouds the issue need be made by the self, for if the self is unprepared for the energies that are drawn forth by the inner Teacher, failure will be experienced again and again. It is the self that decides; that to be love, to be loving, to be willing, to be humble – that these attitudes have been informed through the heart in order to reprogram the mind. It is indeed the mind that responds. It is the self that intervenes but only if the self is aware, only if the self has chosen prior to lesson presentation to be different, to respond differently. Recognition that all bodies have been programmed need be made by all students who walk the path to healing; each body, programmed to respond with particular behaviors, maintaining particular characteristics, promising particular results. The self that steps in to eliminate the behaviors, to modify or eliminate completely the characteristics, alters the outcome, changes the programming to that which is desired most by the self. The student that fails to study the self, the student that fails to understand the self’s lesson plan is the student that encounters stasis frequently upon the path. It is when the student first enters the path to healing that the health of the body begins to become more noticeable; previously, the body was ignored, driven – the mind and the emotion overruling the physicality. The physical body has been programmed to provide the individual with the lessons that are needed for the lifetime; the mental body, and the emotional bodies are impacted by this programming. The mental body interprets pain signals, as well as a variety of addictive signals; the emotional body responds to the pain, to the addiction. The lesson plans draw upon these energies to bring forth lesson to the student. Once the student begins to walk the path to healing, greater focus is placed upon the body, for the Teacher will focus here first. The typical student has an unhealthy body for abuse is quite likely to have been encountered – abuse of the self; this abuse has damaged the physical body and the Teacher attempts to do all possible to bring balance to the body so that the student may focus all energies towards learning, versus the expenditure of energy to manage pain or to feel concern about the self’s ability to remain here until the lessons have been learned. The presence of negativity – negativity on the surface of the body, negativity within the body itself – should be cause for celebration, for the self can state quite clearly, “I feel these energies, the denseness…I can almost see it – they are oppressive, they cause my body to tighten, to ache, to swell, to malfunction. It is with great joy that I welcome their presence; for I see opportunity is at hand – to learn and then to release these energies, so that no further damage may be experienced by my body.” It is this perspective that I seek to instill in each of you, to recognize that the presence of negativity represents opportunity to the self to be different, to learn, so that understanding may be accomplished and then shared with others to aid and to ease another’s journey, as service, repaying the Teacher for the assistance provided to the self. It is difficult for the student to make this shift, for it is a mental, an emotional and indeed, a physical shift. 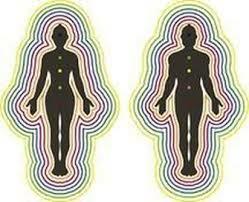 The physical body learns to deal with the energies, to manage the pain. The mental body learns to stop amplifying the pain, to simply provide message to the self, “The pain is present. The pain is still present. The pain remains present.” – so that the self remains informed that the lesson has yet to be learned. It is the emotional body that requires the greatest effort of the self, for it is the emotional body that amplifies the pain, “I have a slight headache.” One hour later, “I have a terrible headache.” Two hours later, “My head is killing me.” Three hours later, “I cannot bear this pain any longer. It is one day, two days, three days, four days, five days, six days present – I cannot bear it” – and the focus is now upon the pain, rather than the location of the pain, rather than the purpose of the pain; for the pain is only elevated when the Teacher feels that the student is ignoring the lesson. Energies brought forth and enlivened provide the student only with sufficient pain to encourage attention to that which has been brought forth; the Teacher does not seek to damage the self, the Teacher seeks to garner the attention of the self. The presence of the energies upon the surface of the body oftentimes can become caustic, can be damaging, if the student does not pay heed to the lesson, if the student does not attempt to learn that which has been presented. It is important for the self to recognize that when energies are drawn forth by the Teacher that their presence over a period of time can be adjusted to mentally and emotionally; it is a small pain that grows, thereby increasing the self’s tolerance to pain, thereby encouraging damage by these energies for the self who fails to understand the lesson and to then release these energies that are causing damage. It is to understand the lessons associated with each area of the body my sister. It is to recognize the activities that cause the body to struggle. It is to realize that the mental, the emotional demands often tax the physical body. It is balance that is being sought. It is the body, the physical body’s demand to be accepted, to be embraced as equal partner to the mental, to the emotional, to the self. It is difficult for the student to experience discomfort over an extended period of time and not begin to refer to this as suffering. It was, of course, suffering from the start; however, the student was focused upon the lesson, believing that the lesson would be limited in scope, in duration of time. It was never anticipated that the lesson would extend day after week after month. When the Teacher first begins to draw forth energies from the astral body it is to make certain that the lessons have been learned by recreating the feeling experienced by previous selves – the desperation, the helplessness, the hopelessness, the knowing that the body has been damaged and that the life experience shall never be as enjoyable as it once was. It is to determine if the student is willing to make the changes suggested by the Teacher, to employ different approaches, different solutions to complex issues, problems – those things that resulted in failed lesson and in damage irreparable to the physical body in previous lifetimes. The preceding five month time period has been such for Te' Auna, wherein poor health was once again experienced over an extended time period to determine if the self would succumb to the challenge or if the self would continue to draw forth hope, faith, trust and love for the self as well as for the Teacher, indicating that the self believed that one day the life experience would once again become favorable. There have been many lessons in addition to this test that have been provided to Te' Auna - lessons that were failed in previous lifetimes. Would the self continue to overeat, fearing the day when there would be nothing in the cupboard? Would the self continue to feed the self poor quality food, expending funds in other areas that had little to no impact upon the physical body? Would the self fail to recognize the importance of the physical shell, failing to provide it with attention, with understanding? Or - would the self step forth to be different in all these areas? To understand that the Creator of each has similar goals in mind – to serve humanity – and to recognize that the experience may be somewhat different from the service that the self had in mind when first stepping forth upon the path, each individual is here to experience that which is needed by the self’s Creator. It is necessary to experience all that the self is drawn to but it is more important to experience that which is offensive to the self, that which is not desired by the self at all, for it is this that will aid the self, the individual, as well as all other creations of the Creator. It is, of course, difficult for the individual to understand why the Monad, the Creator, would be desirous of negative experience - that which is regarded as negative experience by the individual. Pain and suffering within the physical body is experience that opens the self to other experiences that were previously closed to the self. Extraordinary pain, extraordinary prolonged suffering – whether emotional, mental or physical – is that which is needed by the individual to alter the chemistry, to begin to change the chemical body that can then be created for the next and the next and the next incarnation. It is communication of this type that has been focused upon by Te’ Auna’s Creator for countless, unimaginable years. It is this experience – to be resident within the physical body, to be speaking to students who seek wisdom, who have learned honor and respect, who have learned to discern – that was the goal of myself. The elimination of negativity – all that which has been earned through countless existences, through countless lifetimes must be eliminated before the Creator can be resident. It is the goal of all Creators to experience in this fashion. Suffering is felt by all bodies simultaneously; it is suffering of the mental, suffering of the emotional and lastly, suffering of the physical bodies - each respond to suffering in a different manner. I should like for you to survey suffering to determine if all three bodies have been impacted simultaneously and to determine the source, the cause of the suffering. It is important that you begin to understand the actions that cause the reactions of the self and to attribute the actions to the appropriate body; this alone will aid you in detecting the lesson and understanding why the self responds utilizing the well-worn response groove without detection by the self. Do you understand? Sol: Not really – if I had to repeat back to you what you just told me, I don’t think I can do it...i don’t think I could repeat it back accurately. Could you give me an example? It is to understand the bodies – the action of the bodies…the mind that draws in data to create the story…the emotional body that determines that the data must be hidden, concealed from others…the physical body that is then impacted by depression, causing tiredness, feelings of abandonment, feelings of loneliness which cause the self to lose the spark of curiosity, of the excitement for living. It is to understand that the self is merely within the well-worn response groove. The ego has led the self to believe that resolution has been achieved; however, the self has truly been led into the lesson where the self remains, as the energies increase to overwhelm all bodies, diminishing the self’s chances to learn with each passing moment. It is to observe the lesson plan my brother, to observe the bodies, to understand how the bodies work to bring forth lesson and to observe the impact of failed lesson upon the self, for depression, my brother, is not suffering until it is profound depression – one that paralyzes the self completely. It is to recognize that the self determines when the physical body, the emotional and the mental bodies, can begin to function cooperatively together; when the mental body stops amplifying the messages, when the emotional body stops creating confusion, when the physical body starts to inform the self more reliably of that which is needed. In order to do so, the self need step forth and state, “I seek understanding of each body. I seek understanding of the programming that prohibits the bodies from operating independent of the lesson plan. I embrace that the lesson plan is the cause of upset, of discomfort, of failure to recognize, failure to understand who I am not.” Failure to recognize the lesson plan provides permission to the inner Teacher to continue to draw forth to the self those individuals that will provide example, experience that is needed, in order for the self to see the self more clearly. It is to recognize that suffering is provided to one who seeks to strengthen the will. Prolonged suffering is provided to one who has failed to maintain the mental capacity in previous lifetimes; prolonged suffering causes the mind to shatter, unless the strength of will has been seeded and then watered through numerous lifetimes. Testing of the student is extraordinary; those students who are weak of mind, weak of will, weak emotionally, weak physically, will not survive the testing provided. It is to recognize that you and your sister, Te' Auna, suffered similar experience within childhood; each damaged – Te' Auna mentally and emotionally battered for many years, yourself, physically battered in order to break you mentally, in order to break your spirit, but the spirit had been nurtured, had been strengthened, had been watered through many, many lifetimes. It was not possible for you to be broken so much planning had gone into this testing for you, my sister. It is now time for you to lie down the baton for battle, to see the self as strengthened mentally, emotionally and physically, so that the plan for the self can begin to unfold, once the self has learned all lessons and released the burden of the lesson plan permanently. It is to share – to share of the self deeply, purposefully, wholly, drawing forth that which is within, whether it is judgment or love – to bring it forth, so that it may be healed. Judgments, as well as feelings that are so deep that they make the self feel imbalanced need be brought forth and shared with another, for it is to feel that is the goal of the self – to feel, my brother. When the self feels deeply, sharing is embraced as a most appropriate action as payment to those who have aided the self to feel. All those beings of higher consciousness that aid the human from outside of this dimension maintain as a central focus to aid the individual in feeling all things. Sorrow is often utilized to open the heart, to draw forth recognition of the self that the self can feel. It is recognition of this ability that then captures the attention of the self when joy is experienced, when deep love is experienced, when gratitude, appreciation is experienced…it is all felt and the heart grows wider and wider to receive the emotion – all is given safe harbor within, for all is energy to be harnessed by the self. The goal of humanity is to feel, utilizing the emotional body and the physical bodies; the secondary goal is to harness that energy to use for greater purpose. The bulk of humanity has forgotten how to feel - is no longer capable, in fact, of feeling. To understand the self is the goal of all humans. Coming into the lifetime, there is very little time where the consciousness is truly beginning anew; this time period is referred to as infancy. It is in the latter stages of infancy that the bodies belonging to the consciousness enter and are gathered inside the protective barrier of the etheric body belonging to the new self, the new personality. Following this joining, the personality begins to take shape; the infant is now noted to have a distinct personality, way of being - one that is oftentimes shocking to the parents for the behaviors are not understood – not like those members known to the self, those members belonging to the family. It is important for all to understand that the child is representing the self from all previous lifetimes – the lifetime recently ended is the one that can often be recalled by the young child if questioned appropriately.